antoine wrote: Anyone else having this issue when they extract and double click the installer.exe? Says: Sorry the installer was unable to startup, you may be out of hardrive space. Do not do this unless you want Nostalrius to detect your client as modified and have bad consequences. For everyone that gets DC, just delete "speech2.mpq" in Data folder and profit. But I can not see anything, it shows blank spaces rather than '???????????' (thats what I got when i play retail sever). Does anyone know how to just show chat in chinese? I still want client in english. I think the only way is to have two clients, I have been reading the forum and that's the only solution I found. I am also looking for a client that can read Chinese, exactly what you are looking for. Seems like in vanilla, we cannot install language pack nor fonts for Chinese. Last edited by Pottu on Tue Feb 23, 2016 5:38 pm, edited 1 time in total. I am also interested in being able to type in Chinese with the official Nostalrius English client. Can anyone confirm if qqshiwwo's sugestion works or if there is any other way of doing this? I added the Chinese file and renamed it to 'chat' into the Font.mpq in Nostalrius client but it came up with a fatal error upon starting the game. All i want is to be able to chat in Chinese. If anyone can give a better walk-through it would be much appreciated. 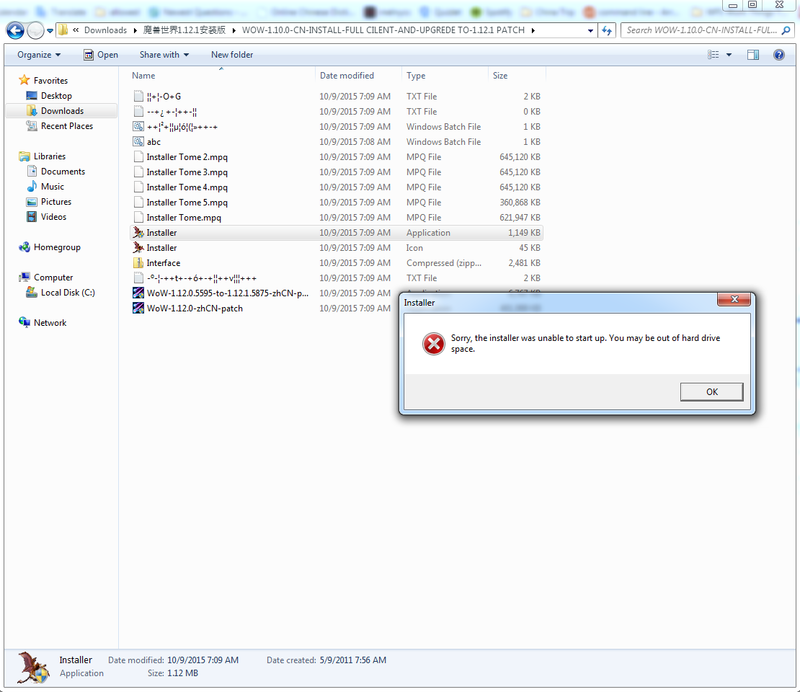 Couldnt open the file....it said that file has unknown format or the file is damaged. So I renamed the file and I could open it, but when I tryed to extract the file it happened again...unknown format or its damaged....any ideas how to solve this ?